Captain Jack Sparrow will not be returning for the sixth instalment of Pirates of the Caribbean franchise and the decision of axing Johnny Depp from the reboot will be saving Disney as much as $90 million on its budget, which is Depp's salary for each films, a Forbes report inferred. Johnny Depp has been the biggest selling point for the action-adventure franchise, with his fronting all the five projects over the past 15 years. Now, the entire project is being restructured with Deadpool writers Rhett Reese and Paul Wernick brought on board. It is also being conjectured that the new film would be led by a woman. There are a number of reasons that could have been behind the move. Depp saw his last outing as Jack Sparrow in Dead Men Tell No Tales in 2015 become the lowest performing movie of the films. The film earned almost $800 million, which was well below the earnings of all other movies in the franchise. The film was also panned by critics, with a 29% score on review aggregating website Rotten Tomatoes. Depp's other releases, including Mortdecai, Alice Through the Looking Glass, Transcendence and The Lone Ranger, have all been major box-office failures. 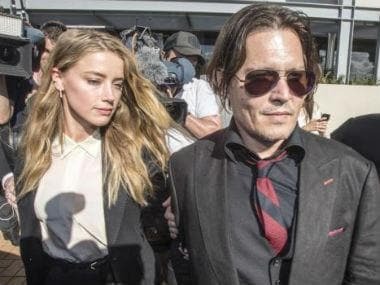 Moreover, he has also been dogged by negative press over the last four years owing to the allegations of domestic violence by his former wife Amber Heard.